Christian LeBlanc is a catechist at St. Mary’s Catholic Church in Greenville, S.C., and an AmazingCatechists.com columnist. AC: Please tell us, briefly, a little about yourself, your faith and your family. Christian: I’m a revert whose pre-Vatican II childhood was spent in South Louisiana, where I marinated in a Catholic universe. Thought/studied my way back to the Church after a Prodigal phase. Married the perfect wife, Janet; we have 5 kids, one grandchild, and one more on the way. AC: What motivated you to teach the Faith? Christian: I was a member of my parish’s adult class, taught by the deacon. When the deacon’s energies became absorbed by his wife’s serious illness, I was asked to take over the class cold-turkey. Fortunately, my fellow-students were supportive that first year. The next 3 years were great, and my wife & I also taught RCIA. After 4 years of adult classes, I was asked to teach 6th grade, which I felt was a demotion. How wrong I was – this is my 6th year! AC: Who or what have your inspirations been? Christian: Sisters Celine, Alphonsus, Mary James, Johanne, and Helena, grades 1-8; Father Robert Berggreen, grades 9-10. They knew their faith, believed it, and provided firm, benevolent leadership in the classroom. They loved me like I was their own child, which in many ways I am. AC: Where have you found encouragement? Christian: In the faces of the kids when they figure something out on their own. AC: Can you describe your teaching style? Christian: 6th grade Socratic method: prepared notes, blackboard, lots of questions and answers, virtually no reading in class. No pencils, no paper, no books, no crafts, no games. I promise you: the kids thrive. AC: What are the most important lessons you have learned about sharing the Faith, which you would like to share with our readers? Christian: To share it you must know it. To know it at an adult level will likely require self-directed continuing education. And at least in South Carolina, you have to know it Biblically. 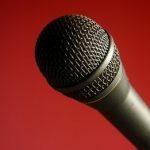 AC: Can you share an anecdote that shows one or more of the following: how rewarding it is to teach the Faith, or how funny it can be, or how inspiring, or how teaching has taught you an important lesson? Christian: Pretty much every class is rewarding & funny & inspiring….I suppose I’ve learned that it’s a very big privilege to be entrusted with teaching these kids their Catholic faith. AC: What’s the toughest lesson you teach? Christian: Uh-oh….none are tough. But then I’m dealing with 12 year olds, and I’m 52 with a bunch of my own kids…heh. AC: What are your favorite lessons to teach? Christian: Anything to do with marriage and kids. The Mass. Baptism. Confirmation. Miracles. AC: Where do you still struggle as a teacher? Christian: Covering the right amount of the right material at the right pace. Keeping the least-churched kids engaged without boring the better-churched ones. AC: What have you learned from your students? Christian: 6th graders are very nimble-minded, are curious about God, and like it when they can meet high standards. I respect them as thinkers, and they respond to that with real effort. 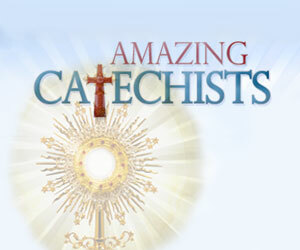 AC: What contribution would you like to bring to Catholic catechesis? Christian: To show how to use an adult understanding of Catholicism to teach 6th graders, such that they’ll have a firm framework that future learning can attach to. AC: What resources do you find yourself using and recommending? Christian: The New American Bible for its notes; the RSV Catholic Bible for its text; the Catholic Internet, especially the Catholic Encyclopedia at New Advent; the Catechism (although not so much with kids); the newspaper (current events). Christian: What could be more exciting than this opportunity to shape the future?